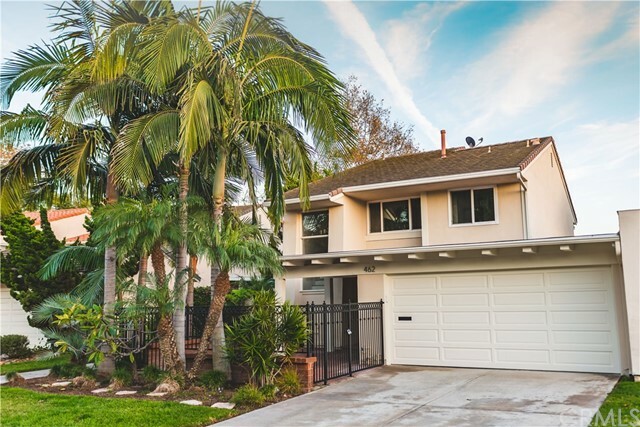 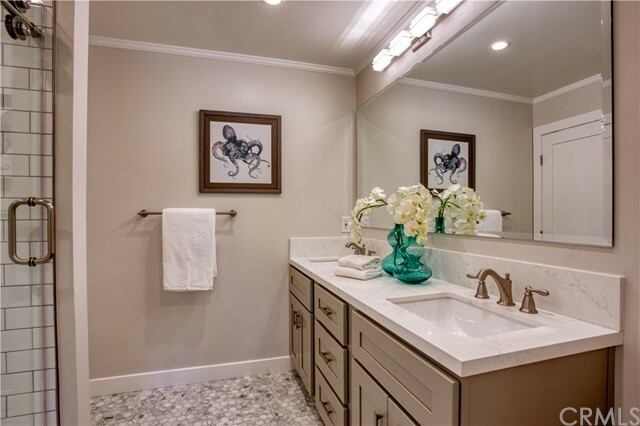 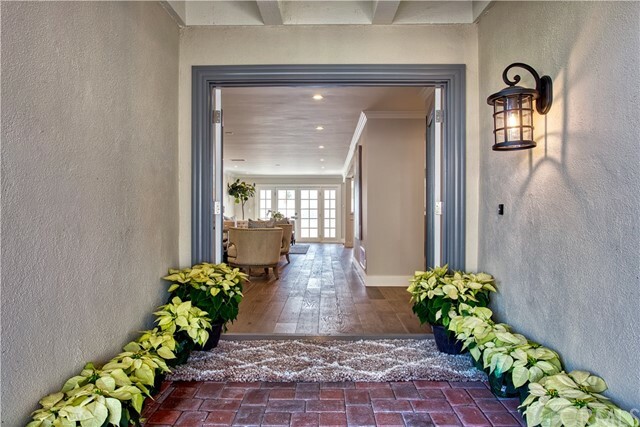 Luxury 2,155 Sq ft. 3 bedroom, 2.5 bath home located in the North Bluffs of Newport Beach. 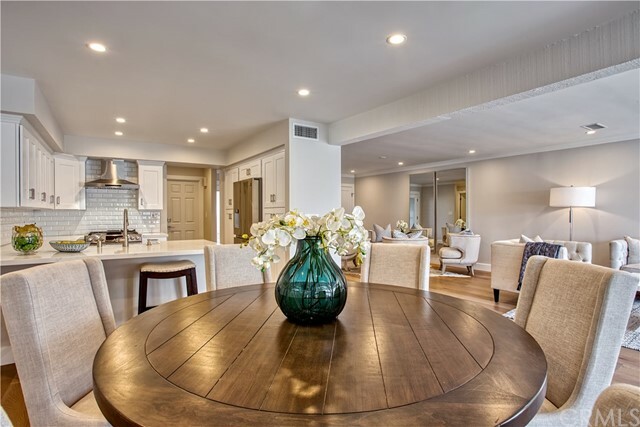 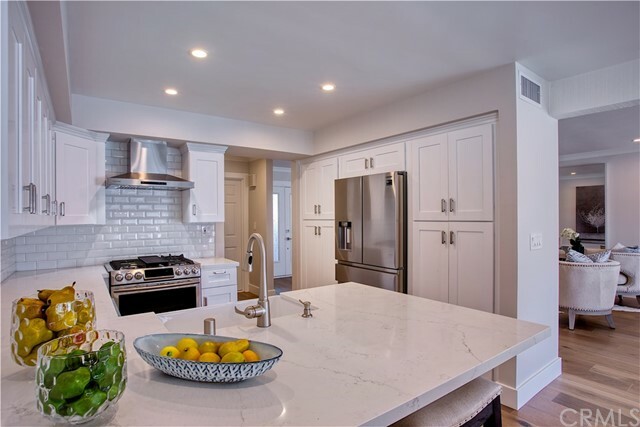 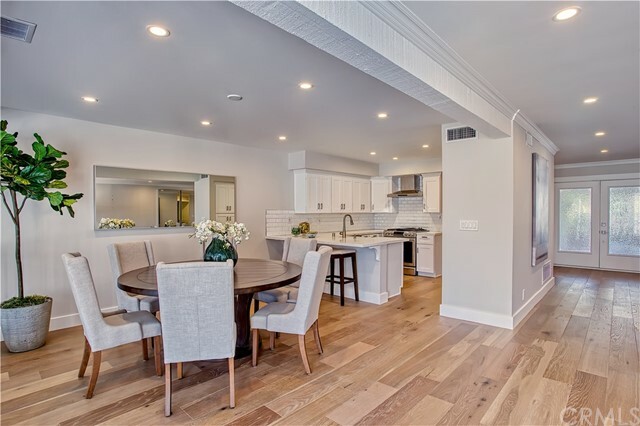 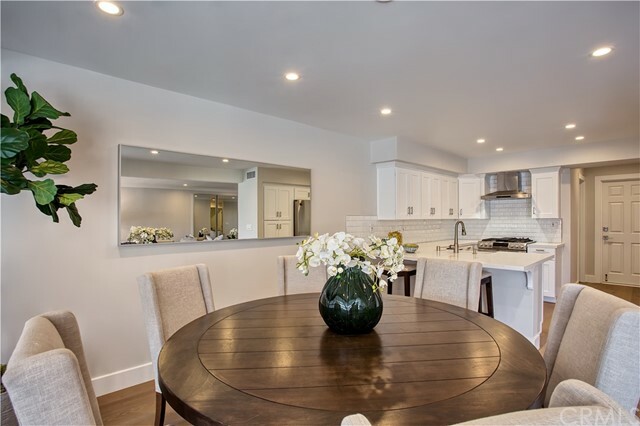 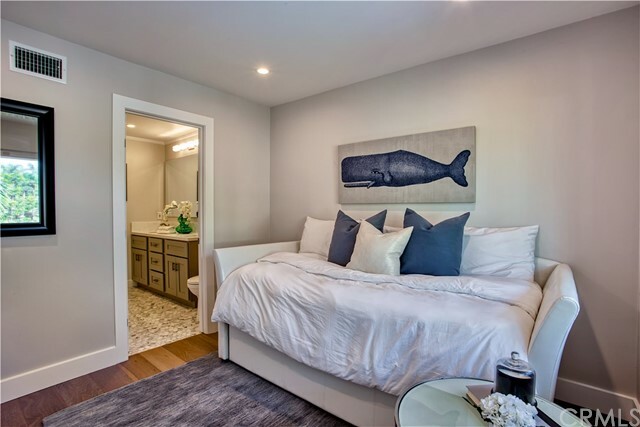 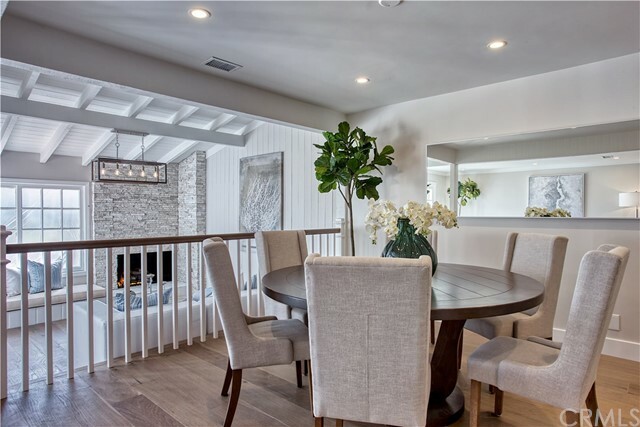 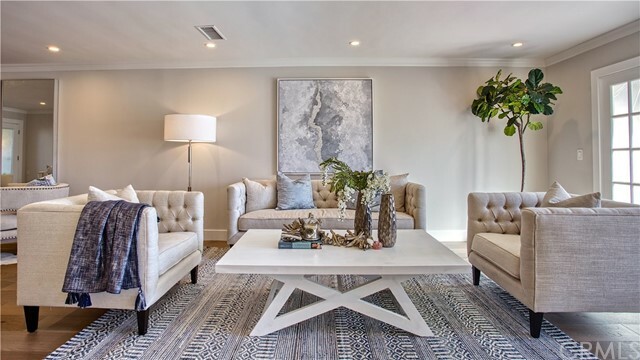 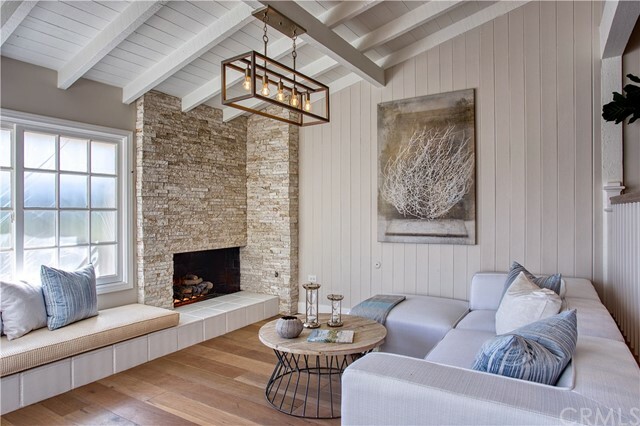 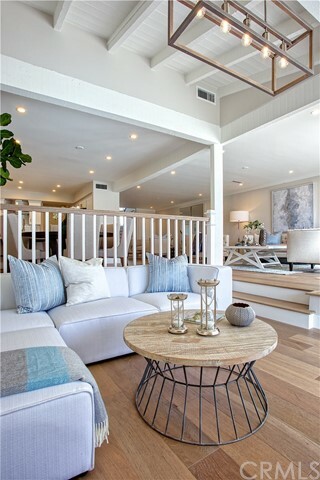 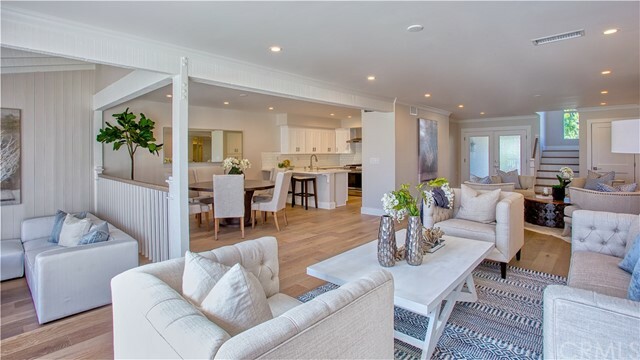 The newly remodeled open and airy floor plan brings understated elegance along with a California beach feel. 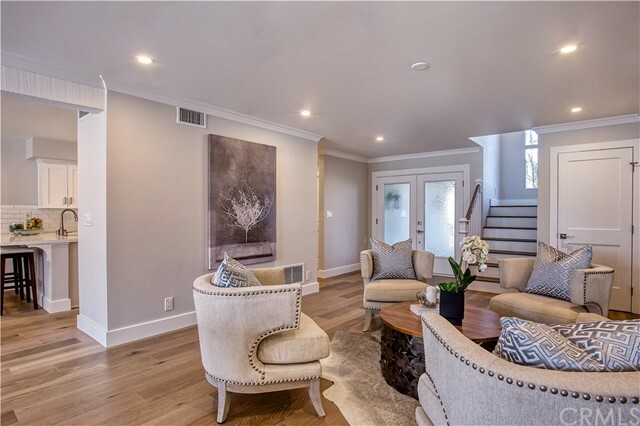 The spacious entry-level living room is complemented by a drop down relaxation room with stone fireplace, formal dining area and outdoor entertaining space. 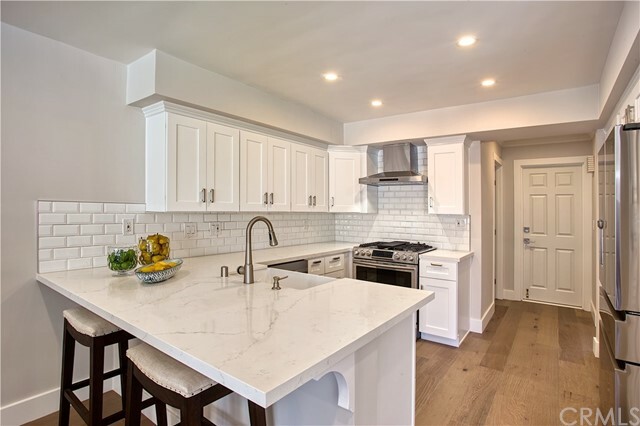 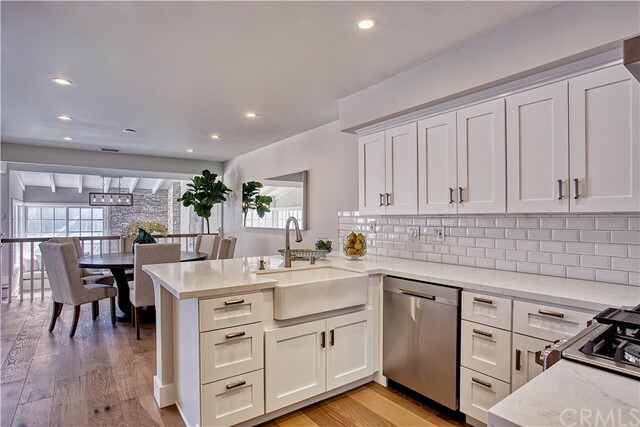 The home features a new gourmet kitchen with quartz countertops, stainless steel appliances, solid-core white shaker cabinetry and farm-style sink. 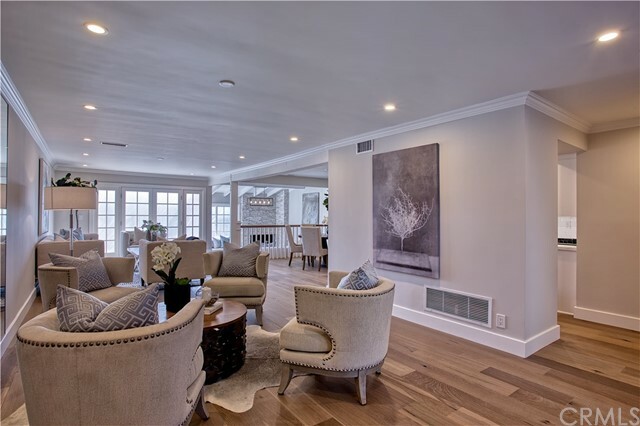 The wood flooring throughout the main living areas is light-grey stained engineered wood with six-inch baseboards. 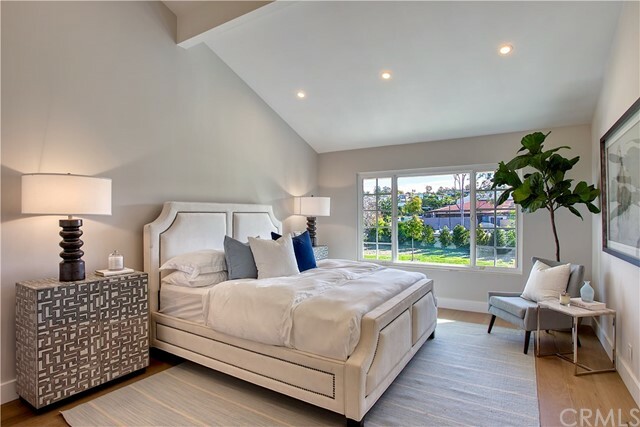 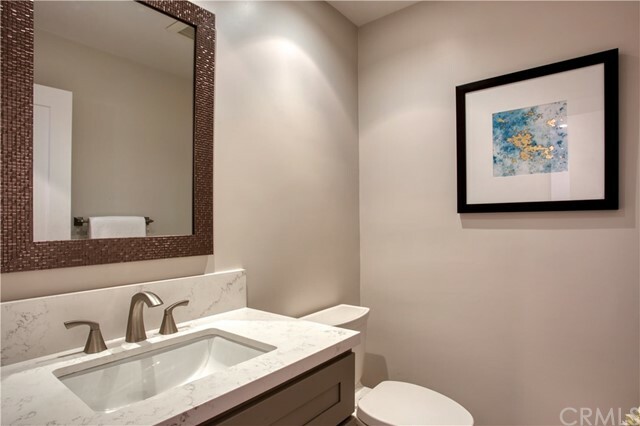 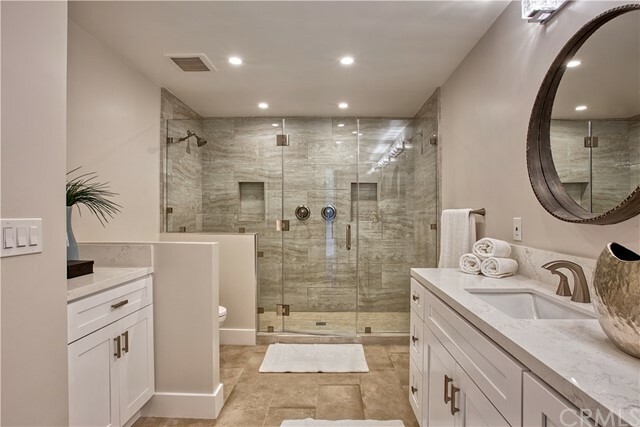 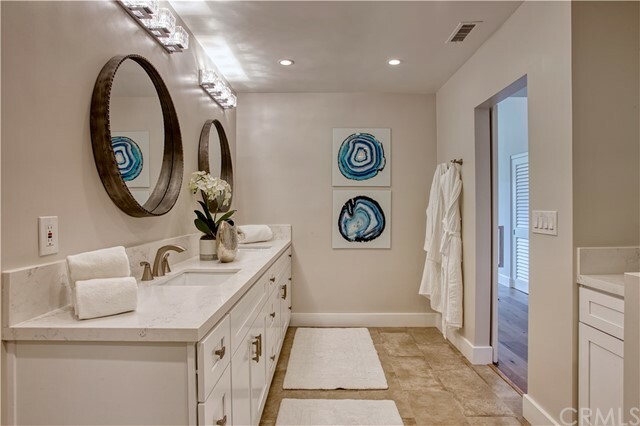 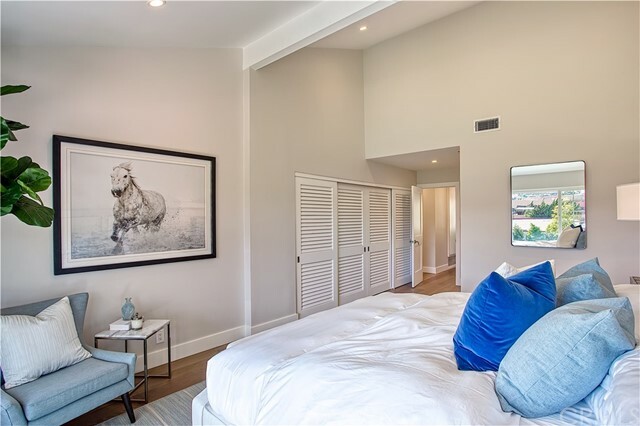 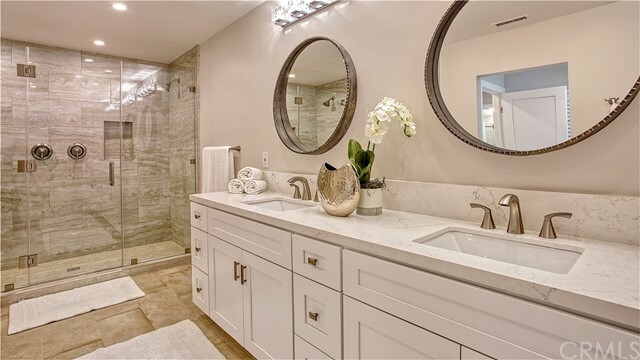 The large master suite is the perfect sanctuary with vaulted ceilings, plenty of closet space and an exquisite master bath with over-sized double shower and marble tile. 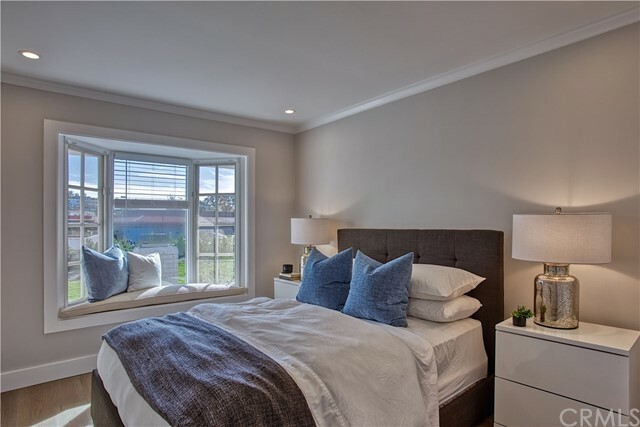 New windows throughout, completely remodeled and modernized bathrooms, and upgraded new heating and central AC system further enhance this home, which also includes the perfect mix of living and outdoor space for easy entertaining with two large patios, one in front and one in the back. 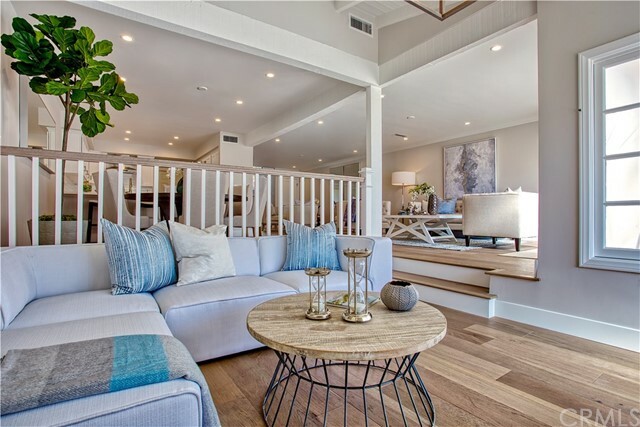 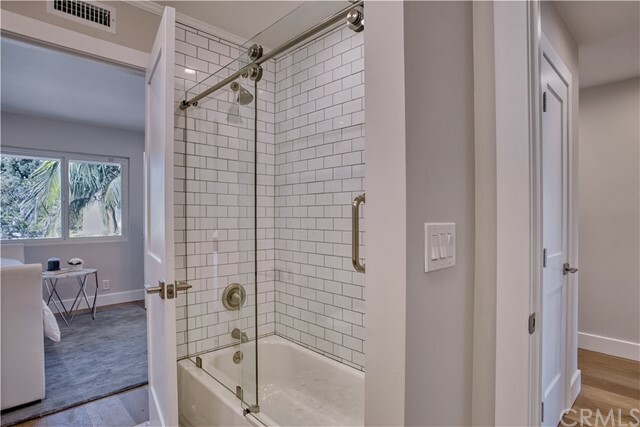 All these modern features and perfectly located within walking distance to Blue Ribbon K-12 schools, shopping, and hiking and biking trails along the beautiful Upper Newport Back Bay.